Want to know more about SuperControl? SuperControl’s special niche was defined by the UK self-catering market back in 2007. 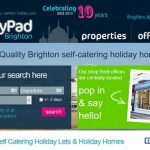 Savvy owners and agencies seeking specialist property management software to book and manage their holiday rentals were frustrated to find no system dedicated to their needs; just adapted hotel systems. SuperControl was created to satisfy this demand. SuperControl is shaping and leading the self-catering market’s adoption of online booking technology by developing and delivering the best property management solution, enabling businesses around the world to excel and prosper. SuperControl is intelligent software that enables you to gain more bookings with less work so you can free up money, time and resources to concentrate on innovating. We connect you with guests through our complete business toolkit and meaningful relationships with a growing network of partners we trust. We realise the full potential of all employees and provide a dynamic, progressive and inspiring working environment which fosters exceptional service to our customers. First guests arrive at Orroland Estate (holiday cottages belonging to our founding Directors Robert and Melinda Kennedy). SuperWebs web development and digital marketing agency is born. Founding Directors join committee of Association of Scotland’s Self-Caterers, a partnership lasting 16 years and counting. 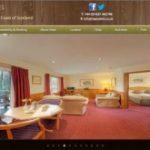 Orroland website won national Winners of the Web award for being ahead of its time, offering online booking. The precursor to SuperControl. Converted an old dairy building into our first real office. SuperControl is launched with four members of staff. Started releasing UK self-catering stats, becoming the go-to experts in the industry. The year of the Channel manager: the number of booking websites we link with increased tenfold. Sept – Became PCI Compliant. The year we doubled our server capacity. 40% increase in new accounts. Aug – Moved into larger office premises, with 12 members of staff. Dec – Joined VRMA Holiday Rental Professionals Seminar. Sept – Became a HomeAway Preferred Partner. Sept – Launched UpFront Reviews, a free verified review service for self-caterers. Oct – Welcomed our 1,000th customer. April – Guest login is launched. June – Became a Booking.com Preferred Partner. July – Opened our first international office in Poland. July – First SuperControl workshop is held in Cornwall. Feb – 27,000th property is added. Mar – SuperControl Corporate Charity Programme is introduced. May – Installed our 50th server to further consolidate our robust infrastructure. May – Moved to larger office in Poland to house growing technical team. Sept - SuperControl is the first UK-based PMS with a full booking integration with Airbnb. We celebrate our 10th birthday. May - HQ moved to larger premises in south-west Scotland just in time to host Operation Collaboration, an internal event that brought the whole SuperControl team together for an intensive week of communication, strategic clarity and client focus. June - Our Feature life cycle process is enhanced to improve development deliveries within accurate timescales. Our reason for being is to make vacation rental home owners’ and managers’ lives easier and to connect you more effectively with your guests. To this end SuperControl connects with 100+ booking websites to automatically update availability calendars, saving you valuable time. Communicate, interact and stay in touch with your guests. 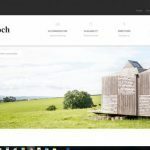 We connect with many marketing tools, social media channels and apps to make your guests’ experience as straightforward as possible; from booking their stay, to sending you feedback then returning on holiday again and again.